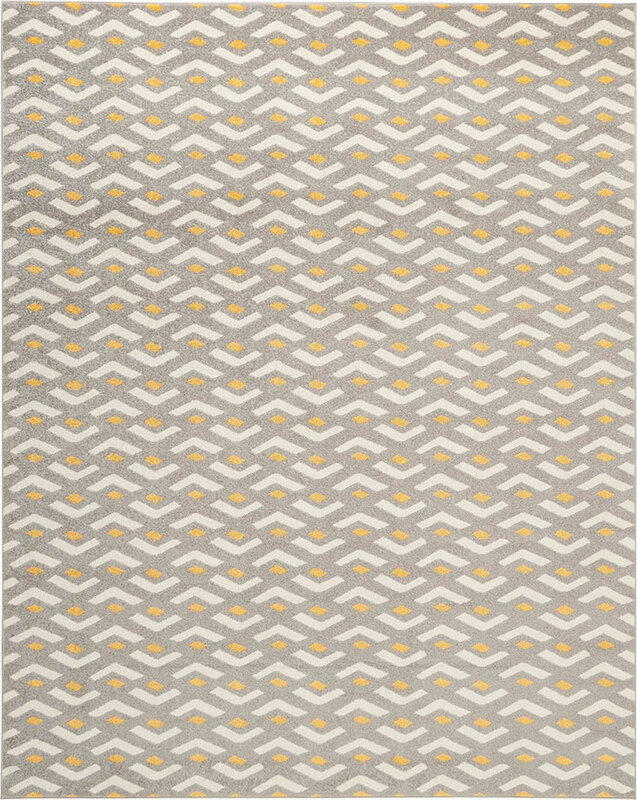 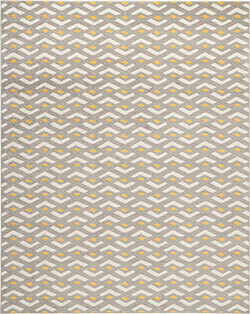 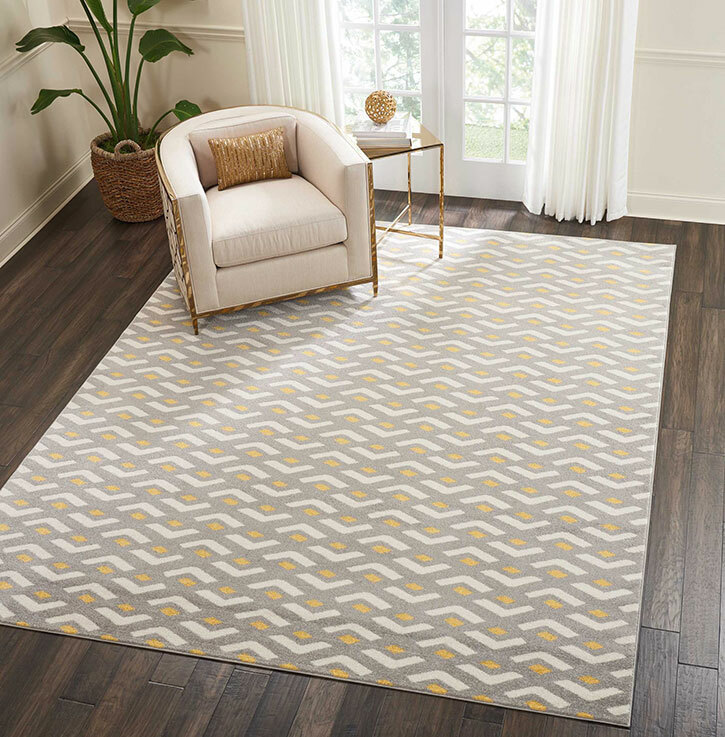 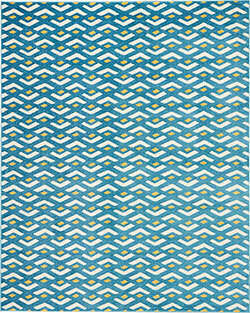 Striking alternating chevron design create a mezmerizing visual effect in this Harper Collection rug from Nourison. 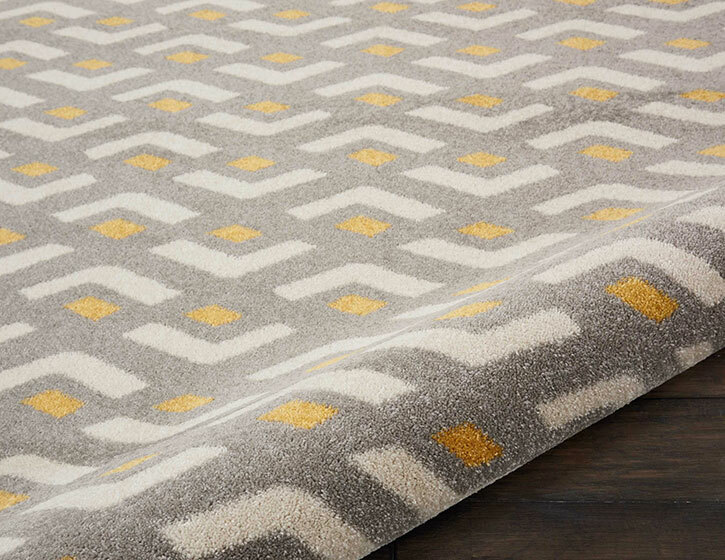 Ivory white and gold patterns on a silvery grey field provide the right balance of energy and rich color on a soft easy-clean pile. 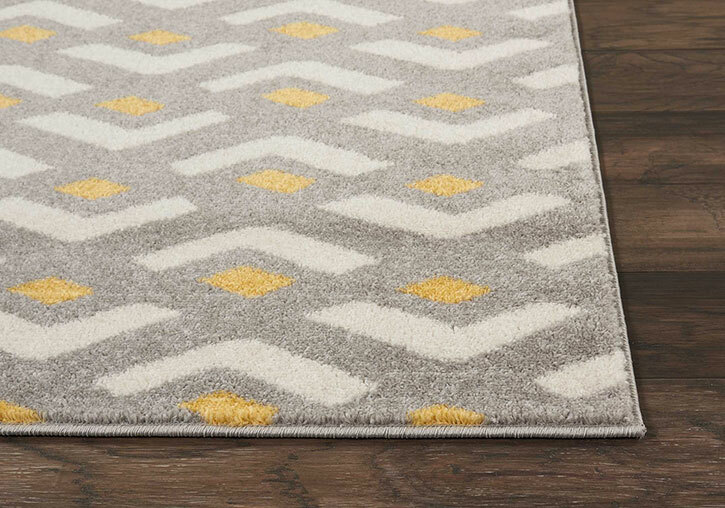 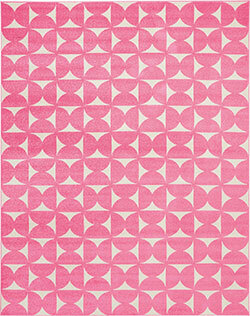 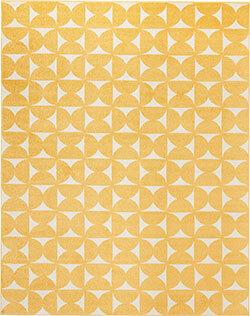 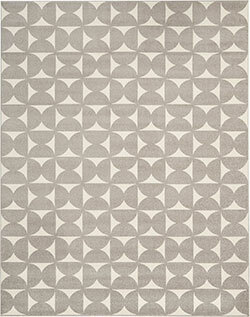 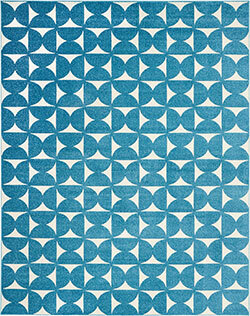 This colorful and modern rug provides a contemporary accent that fits a wide range of room styles.